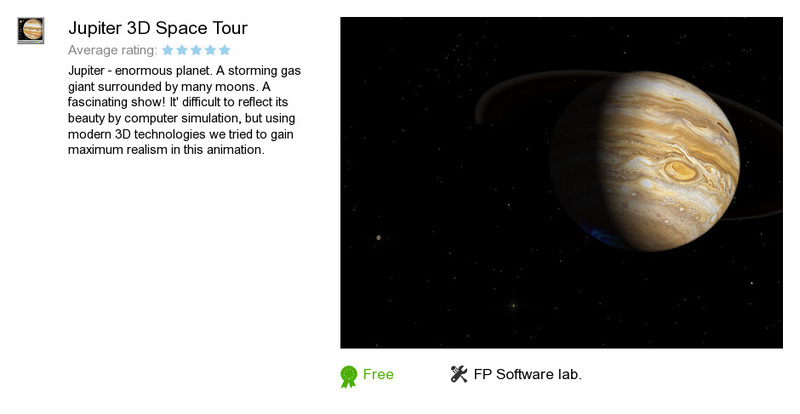 Jupiter 3D Space Tour is a software program developed by FP Software lab.. We know of version 1.0. Version 1.0.0.1 is available for free download at our site. Jupiter 3D Space Tour distributive has a size of 3,295,957 bytes. FP Software lab. also publishes Saturn 3D Space Tour and Earth 3D Space Tour.